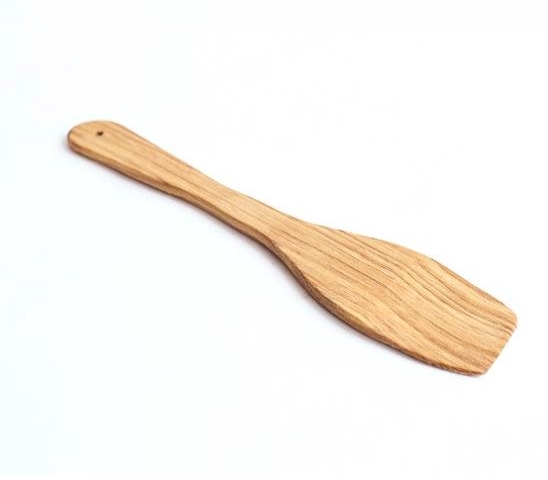 Our wooden spatula is handcrafted of European oak by skilled craftsmen. 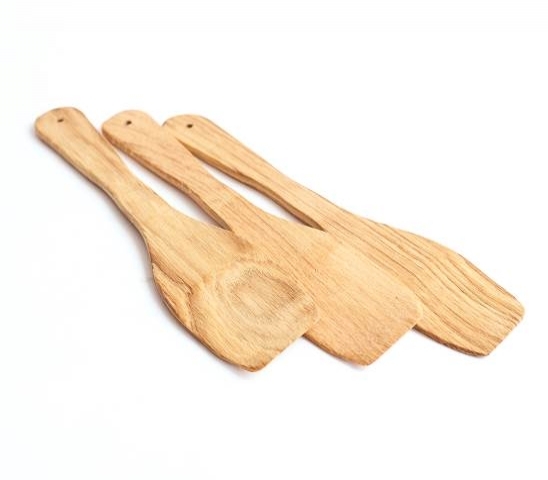 Wooden cooking and baking spatula at your kitchen is ecological, useful accessory and unique rustic décor. It is one of the basic tools at your kitchen. 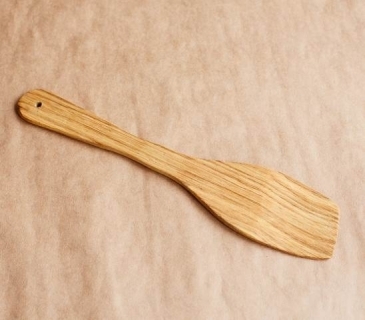 Wooden spatula is designed to stir, scrap, mix and flip food during cooking and baking. Also, wooden kitchen spatula is the safest tools for your valuable frying-pans and cake plate. Wooden kitchen spatula is unforgettable gift for each chief cook. As far as each of our spatulas is unique, please, allow 5% tolerance for sizes and weight. 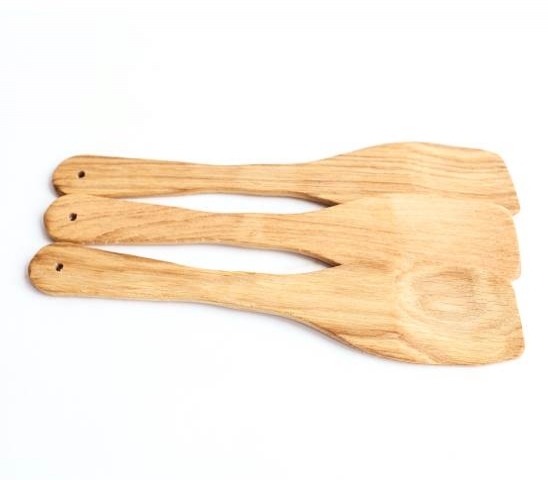 One set includes 10 pcs of oak kitchen spatula. Weight of 1 pc: 50 g.